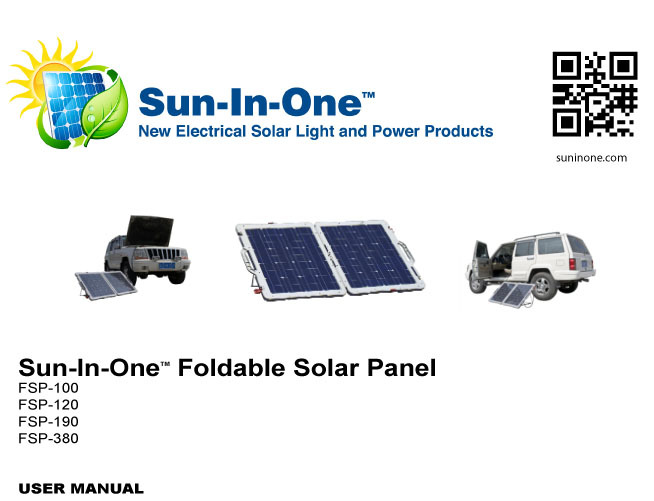 The Sun-In-One™ Foldable 190 Watt Solar Panel is powerful, compact, durable, lightweight and has a cooling fan controlled by a temperature sensor to prevent overheating. The panel folds up neatly into a carrying case with a handle for easy portability and storage when not in use. The sturdy ABS water-resistant frame offers great protection and has a steel bracket stand that adjusts for optimum gathering of power. Built-in storage compartments hold the three different connectors and cables (included): Anderson Plug, Crocodile, and Cigarette Lighter with 15 FT of cords from panel to the battery. 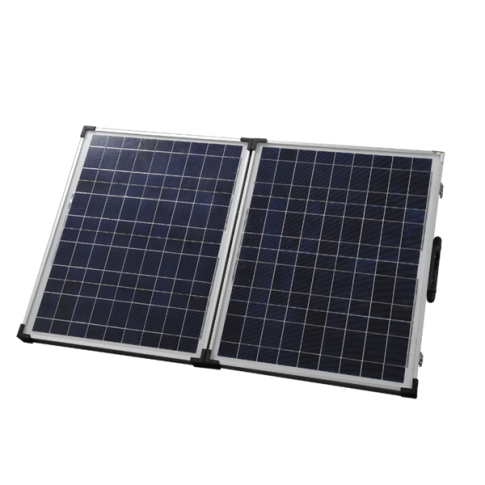 This panel is engineered to work in conjunction with the Sun-In-One™ Portable Battery Box and together witha 12V battery can be used to power LED Lighting, AC Appliances, Laptops, or other 110V circuit purposes. Most of the Sun-In-One™ products work in conjunction with one another. The more Amps produced by the solar panel, the quicker it will charge a battery or product. Thus, the 190 Watt solar panel will charge the same 12V battery almost twice as fast as the 100 Watt panel. The 100 Watt panel is sufficient, but when you want more power faster, then always go with the largest panel. Extra Long Cords – Available up to 26 feet in length. 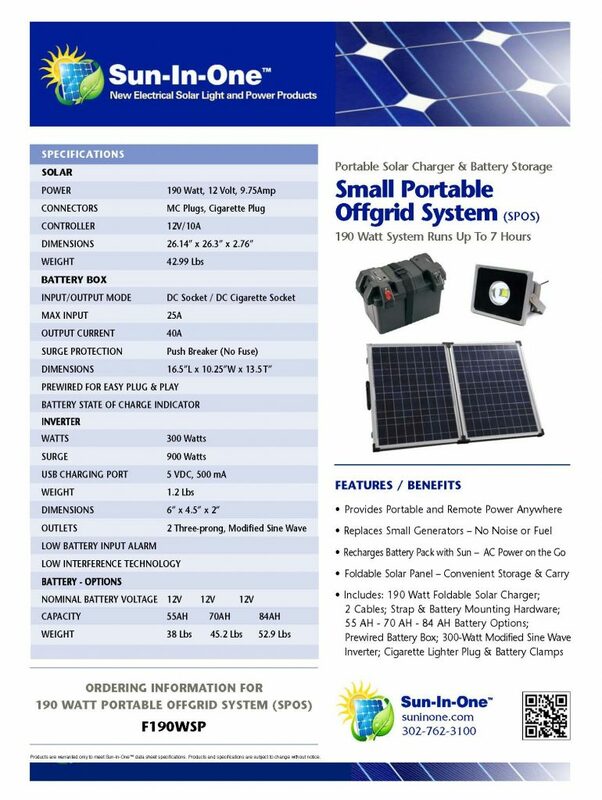 Whole System Integration – The solar panel, charge controller, cooling fan & storage compartment for accessories are all packed in one unit, designed for easy storage, portability and daily use. Durability – Built with strong ABS plastic body and steel back stand. Simplicity – Easy operation, the system is plug-and-charge, no training or experience required. Display – LED light indicator that lets you monitor the level of your battery’s charge. Low Maintenance – No regular maintenance is required. Optional Add-ons – Built to integrate with other Sun-In-One™ products: LED Lighting, Portable Battery Box, Batteries, and Inverters to power your AC appliances.